Rosario Rafael Burboa-Alvarez was indicted by a federal grand jury in Tucson yesterday, becoming the seventh man charged in connection with the murder of U.S. Border Patrol Agent Brian Terry, announced Attorney General Eric Holder and U.S. Attorney Laura E. Duffy of the Southern District of California. Agent Terry was fatally shot on Dec. 14, 2010, when he and other Border Patrol agents encountered armed robbers in a rural area north of Nogales, Arizona. Of the defendants charged so far, two have pleaded guilty, three are awaiting trial and two are fugitives. Burboa-Alvarez, 30, is described in the indictment as the recruiter who assembled the crew of armed robbers to travel from Mexico to the United States and forcibly take marijuana from smugglers through threats or actual violence. The crew members were identified in the indictment as Manuel Osorio Arellanes, Jesus Rosario Favela-Astorga, Ivan Soto-Barraza, Heraclio Osorio-Arellanes, Lionel Portillo-Meza and Rito Osorio-Arellanes. The indictment charges Burboa-Alvarez and others with first degree murder, second degree murder, conspiracy to interfere with commerce by robbery and attempted interference with commerce by robbery. Other crew members are also charged with use and carrying a firearm during a crime of violence and assault on a federal officer. In addition to the murder of Agent Terry, the indictment alleges that the defendants assaulted Border Patrol Agents William Castano, Gabriel Fragoza, and Timothy Keller, who were with Agent Terry during the firefight. Burboa-Alvarez was already in custody in Tucson for immigration-related crimes. He is scheduled to be arraigned in federal court in Tucson at 1:45 p.m. today before U.S. Magistrate Judge Bernardo P. Velasco. Portillo-Meza was captured in Mexico in September 2012 and extradited to the U.S. on June 17, 2014. Soto-Barraza was captured in Mexico in September 2013 and was extradited to the U.S. on July 31, 2014. Favela-Astorga and Osorio-Arellanes are fugitives. Another defendant, Manuel Osorio-Arellanes, pleaded guilty to first degree murder and was sentenced to 30 years in prison in February 2014. Another defendant, Rito Osorio-Arellanes, who was in custody at the time of Agent Terry’s murder, pleaded guilty to conspiracy to interfere with commerce by robbery and was sentenced to eight years in prison in January 2013. This case is being prosecuted in federal court in Tucson by attorneys from the Southern District of California. They are Special Assistant United States Attorneys Todd W. Robinson, David D. Leshner and Fred Sheppard. The U.S. Attorney’s Office for the District of Arizona is recused. This case is being investigated by the FBI. 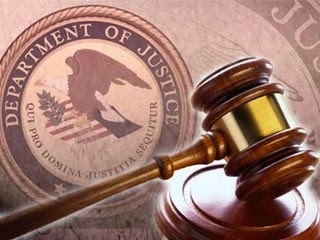 The Justice Department’s Office of International Affairs provided assistance with the extraditions.